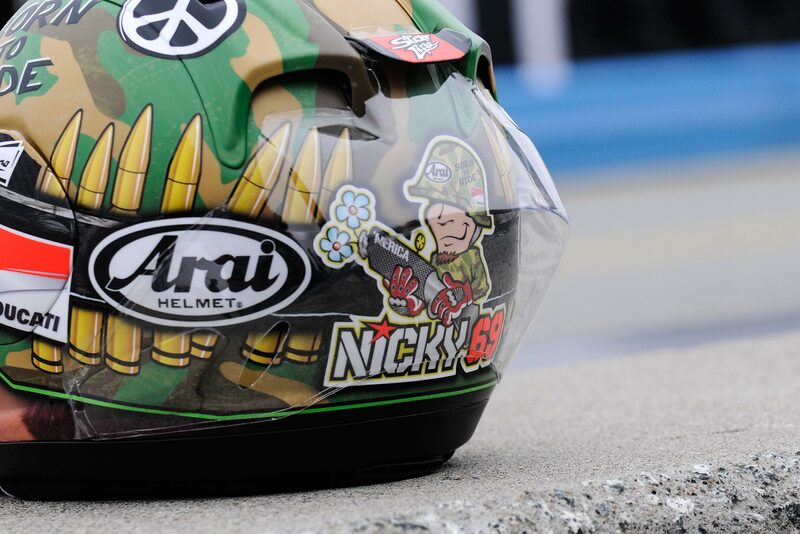 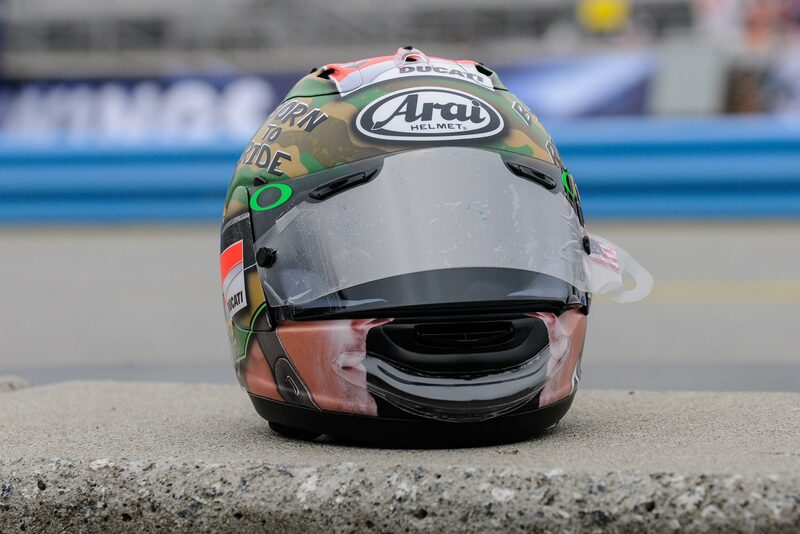 The Red Bull US GP at Laguna Seca, fan favorite Nicky Hayden will be sporting a new lid. 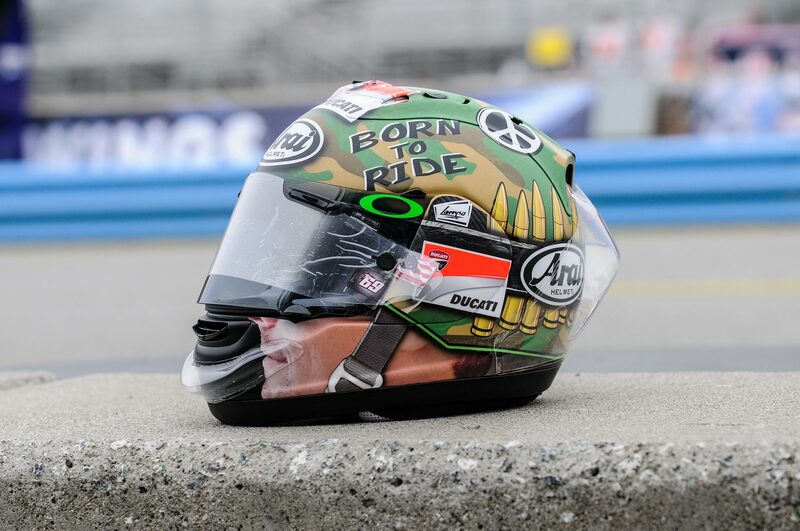 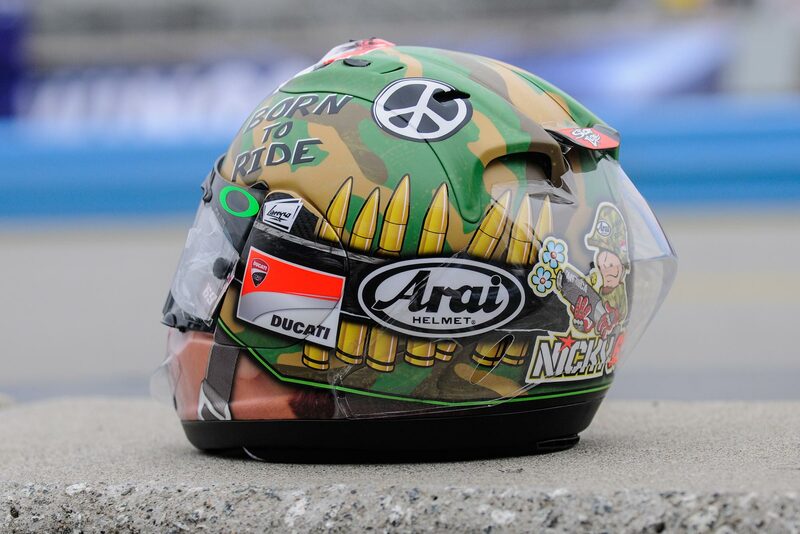 Themed after Stanley Kubrick’s Full Metal Jacket, the Arai helmet has another clever use of Nicky’s face in the livery, giving the impression that the Kentucky Kid is wearing a combat helmet while on his Ducati Demsosedici GP13. 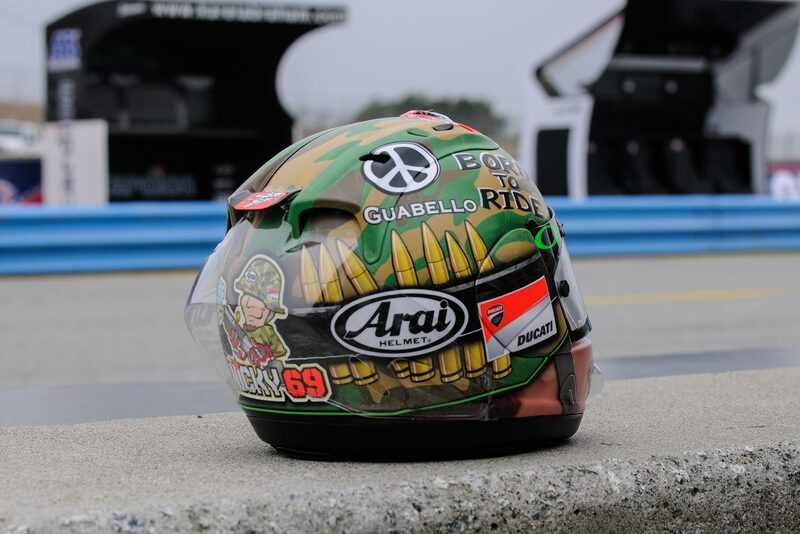 When we asked about any meaning behind the helmet design for the US GP Hayden said he simply liked the camo paint scheme, and that his helmet designer, Roby Marchionni of Starline, had thought of the design for the race. 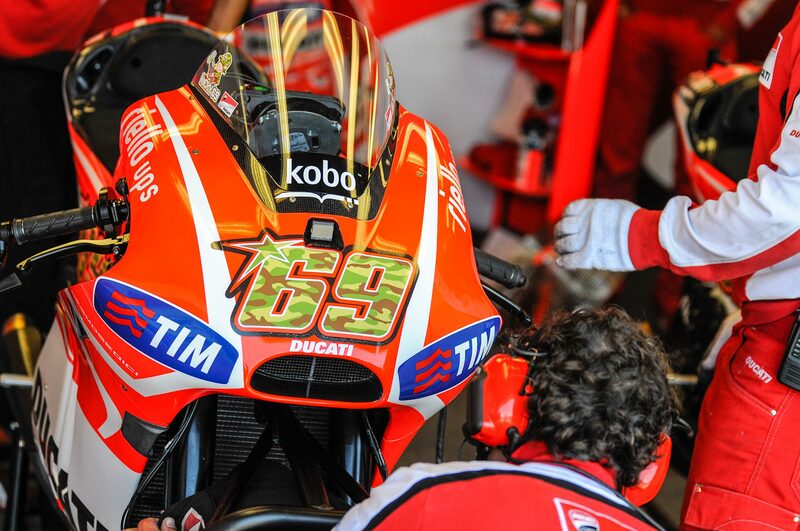 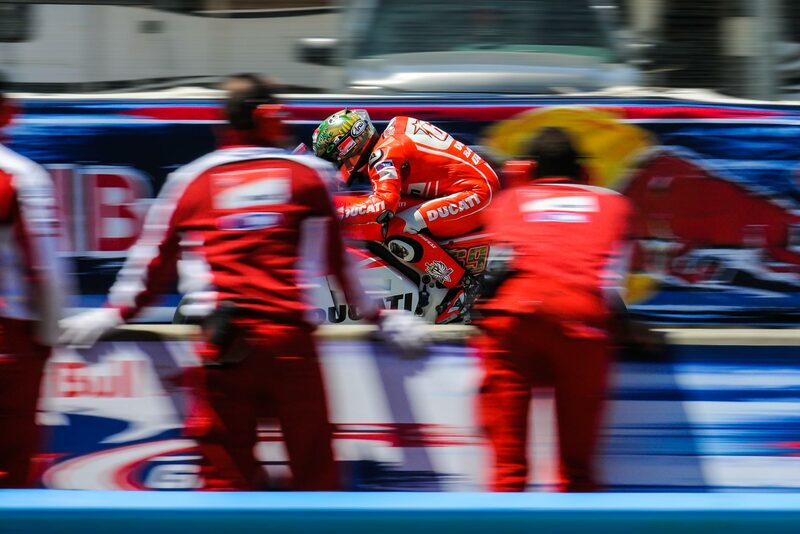 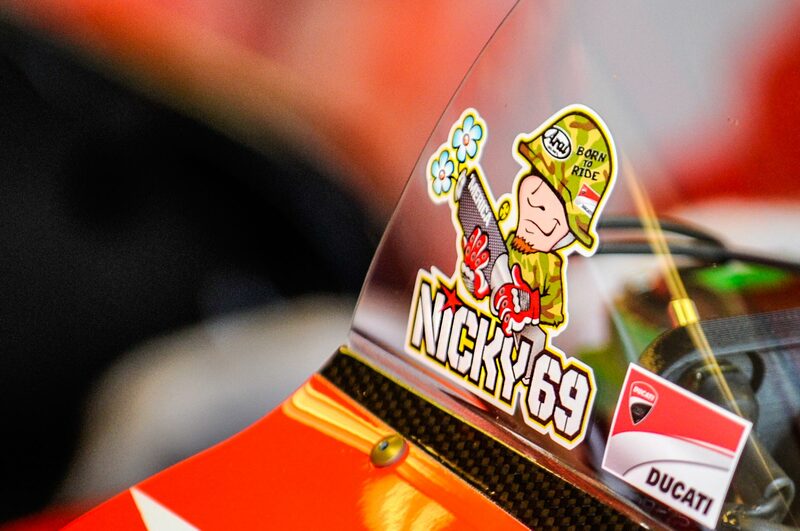 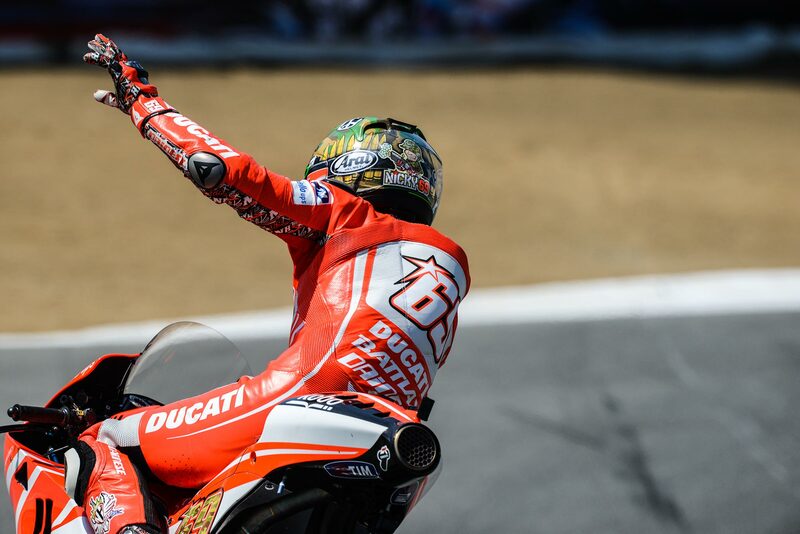 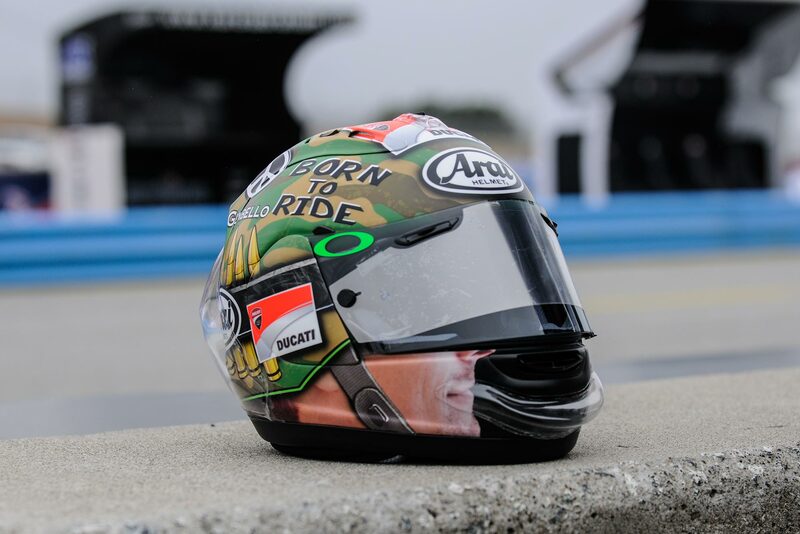 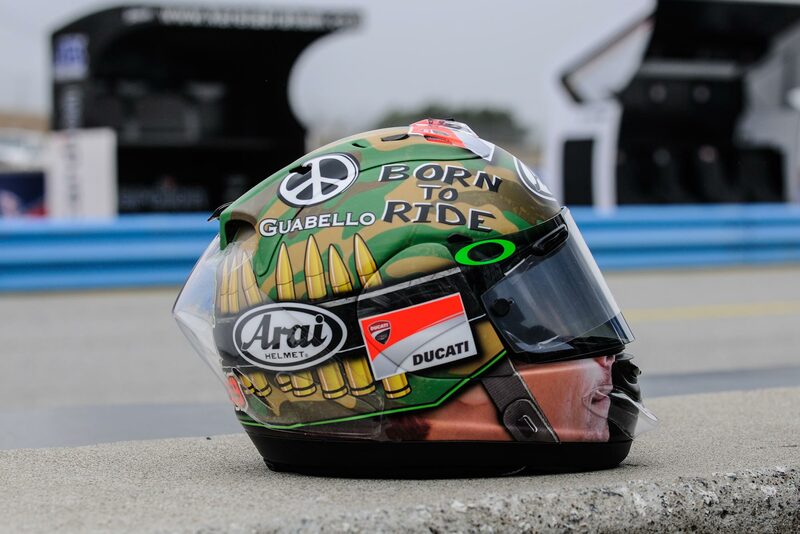 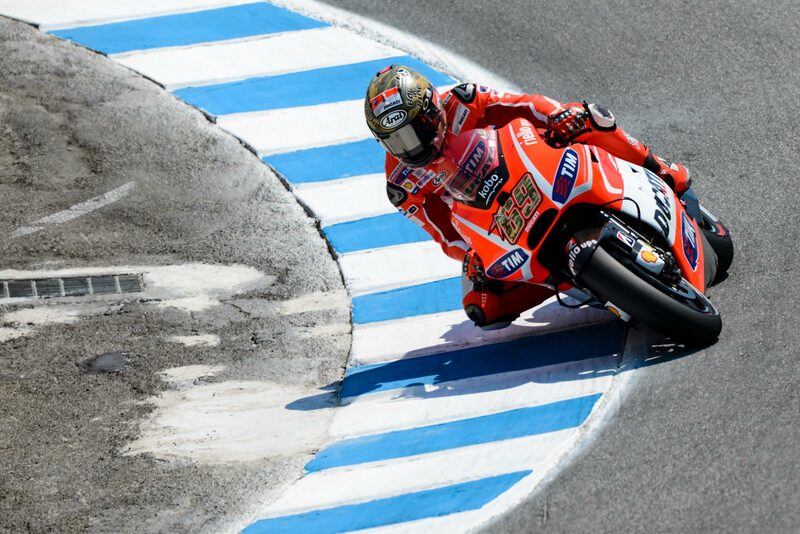 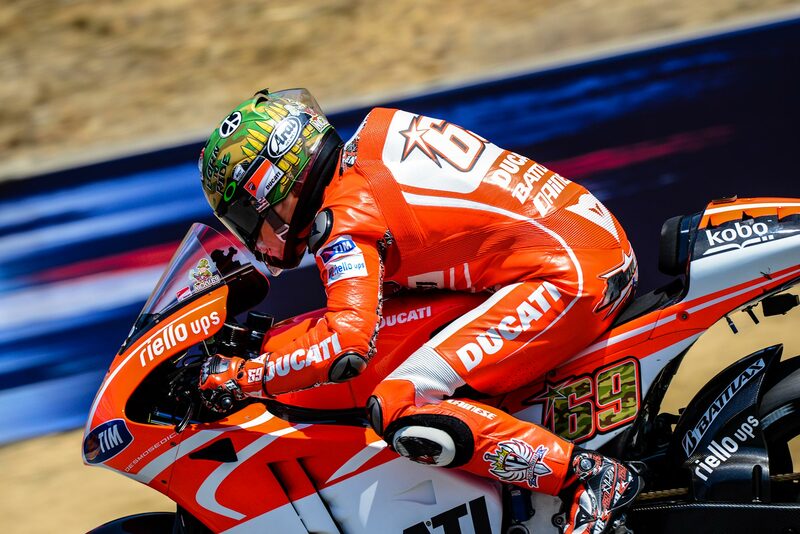 However, it is hard not to make some connections between Nicky’s time at Ducati Corse and some of the themes portrayed in Full Metal Jacket. 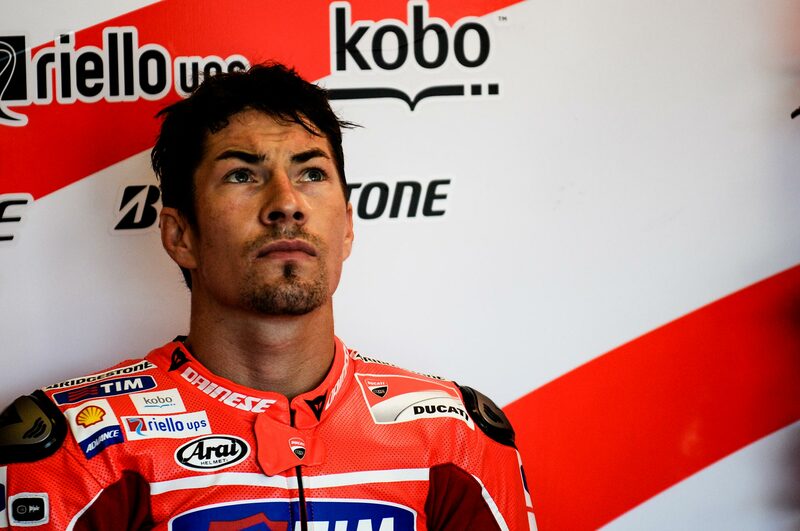 After all, the former World Champion certainly has that thousand-yard stare down pat.